2 Comments Published by Terrace Crawford on 11/30/11 at 1:02 PM. Saw this over on Marko's blog. While I haven't watched that many Christmas videos so far this season, I'd be willing to bet this one will be my favorite (hands down!) this Christmas. 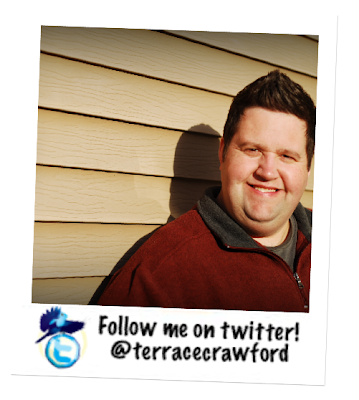 0 Comments Published by Terrace Crawford on at 8:48 AM. I'm a firm believer in student-led ministry and I believe youth workers need to coach students (and give them opportunity) to speak to their peers... so I'm very excited to share this announcement with you today. My friends at Leadership Network have created a number of really great online conference experiences since their first Nines event a few years ago. Their most recent offering is called "groundSWELL: the church of tomorrow speaks today" and I'm excited about it -- primarily because ALL of the speakers will be 13-19 years of age (that's right, ALL teenagers!). 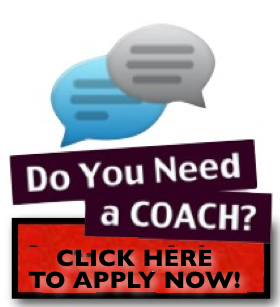 This online experience will be held in early 2012 and details are still forthcoming, but you can nominate a teen speaker using [this online form] right now. I've already taken the liberty of nominating someone I know who would make a great addition to the speaker list. Can't wait to hear from these students! 1 Comments Published by Terrace Crawford on 11/29/11 at 2:59 PM. Can you use $5,000 this Christmas? Watch the video... and read on. My friend, Tim Schmoyer, is doing something really cool this Christmas. He's written a brand-new ebook on how to walk you and your team of leaders through a 30-step process to discovering what God's vision is for your unique ministry context and he's planning to give a portion of the proceeds (up to $5,000!) from the profit of the book to a youth worker this Christmas! 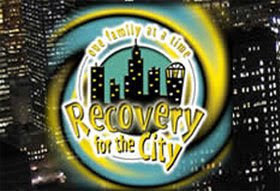 All you have to do to enter is submit a quick video and tell your story about how you could use the money by December 9, 2011. I would love to submit my own video (I mean, we're talking about big dollas here! ), but Tim asked me to be a judge. =) I'm honored to serve... and can't wait to hear your stories. Go [here] to read ALL of the details and guidelines for this giveaway and to purchase the ebook. 2 Comments Published by Terrace Crawford on 11/8/11 at 6:49 PM. I ran across this video recently online. It's part of an interview with Tom McBride (Beloit College) where he discusses this year's mindset list created for the Class of 2015. He created the (witty) list back in 1998 to help faculty at the college "watch their references" with incoming freshman. The list includes 75 references of the Class of 2015. I'll include 15 of them here and you can go [here] for the rest. Lists like this could prove very helpful to youth workers or church leaders (in general) in knowing the audience they are speaking to. There has always been an Internet ramp onto the information highway. Ferris Bueller and Sloane Peterson could be their parents. They “swipe” cards, not merchandise. As they’ve grown up on websites and cell phones, adult experts have constantly fretted about their alleged deficits of empathy and concentration. Their school’s “blackboards” have always been getting smarter. “Don’t touch that dial!”….what dial? More Americans have always traveled to Latin America than to Europe. Refer to LBJ, and they might assume you're talking about LeBron James. O.J. Simpson has always been looking for the killers of Nicole Simpson and Ronald Goldman. I also found the website for the mindset lists, which gets over a million hits per year. It was interesting to read up on the class I graduated with (2002). 0 Comments Published by Terrace Crawford on 11/3/11 at 9:39 AM. 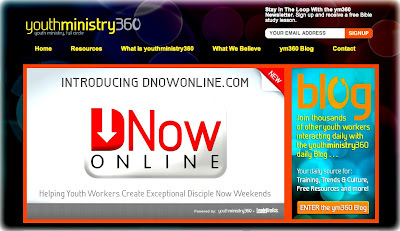 One of my newest sponsors here at TerraceCrawford.com is none other than my good friends at Youth Ministry 360! I'm so excited to partner with these guys to bring you great content each week here on the blog. Just this week I affirmed Les & Andy (the founders of YM360) in how great they are at putting curriculum together. Now, I'd like to share with you some of it... FOR FREE. YM360 has put together a great piece of curriculum just in time for Thanksgiving and they want you to have at it. [Click here] to download the freebie now! 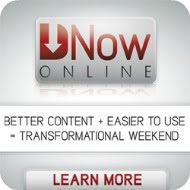 Additionally, check out YM360's newest site, DNOWonline.com -- a great resource for youth pastors who are planning a Disciple Now weekend experience for students! 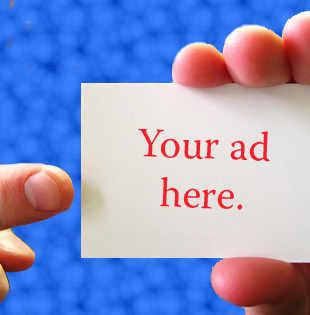 And, if you'd like to become a trusted sponsor & partner in ministry with me, shoot me an email (or tweet me) and let's chat. I'm always looking to make new friends. 0 Comments Published by Terrace Crawford on 11/1/11 at 11:41 AM. David Kinnaman has just released a new book based on eight national studies by the Barna Group. The studies explore the challenges of faith development among teens and young adults and the findings are included in the new work titled "Lost Me: Why Young Christians Are Leaving Church and Rethinking Church." The research identified six themes and uncovered why nearly 59% of young Christians today are disconnected from church after age 15. 1. Churches seem overprotective - Young Christians expressed concern about how the church seems to "ignore the problems of the real world" and is too concerned that movies, music, and video games are harmful." Their experience of this kind of Christianity is fear-based... and must be abandoned. 2. Teens' and twenty-somethings' experience of Christianity is shallow - A second reason cited for leaving the church is the lack of an experience in church. 31% of those surveyed said that "church is boring," while 24% said "faith is not really relevant to my career or interests." 3. Churches come across as antagonistic to science - Young adults feel disconnected from church or faith because of the tension between science and Christianity, according to the study by the Barna group. Three out of ten young adults with some sort of a faith background stated that "churches are out of step with the scientific world," while some even cited "Christianity is anti-science." 4. Young Christians' church experiences related to sexuality are often simplistic and judgemental. According to the findings, young Christians are as sexually active as their non-Christian peers, even though they tend to be more conservative in their opinions about sexuality and 17% of them said "they have made mistakes and feel judged within the church because of them." 5. They wrestle with the exclusive nature of Christianity - Younger Christians have been shaped by a culture that embraces tolerance, open-mindedness and acceptance for all races, sexuality, religions and cultures. Three out of ten surveyed (29%) said that "churches are afraid of the beliefs of other faiths" and they "felt forced to choose between their faith and their friends." 6. The church feels unfriendly to those who doubt - Young adults think the church today does not allow for space to express or embrace doubts. Today's young person wants to be able to ask pressing life questions within their faith community and the current perception is that there is disregard for those who have significant doubts about their faith. Additionally, one out of every six people surveyed said their faith "does not help with depression or other emotional problems they experience." 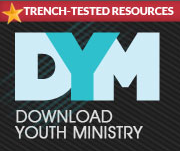 What are the implications for youth ministry?